This Northwest Chili recipe is great for when the weather outside is cold. So let the snow fall and start warming up the stove for this delicious chili. The chickpeas and lentils are what make this chili special. There is some preparation time with all the chopping and dicing of the ingredients. You can double the recipe so that you can have lots of leftovers. Invite family and friends to share in the warmth of this chili recipe. 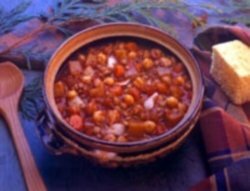 At the core of this chili are the Northwest’s chickpeas and lentils. 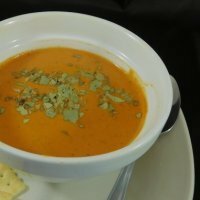 With lots of flavors, this is sure to warm up your body and your taste buds. In a large, heavy saucepan, cook onion and garlic in oil for 3 to 4 minutes. Add lentils, and stir to coat them with oil. Add potatoes, carrots, bell pepper, chili powder, water, and bouillon. Bring to a boil. Reduce heat, cover, and simmer about 35 minutes, or until lentils are tender. Add tomatoes, breaking them up as you do, and tomato sauce, chickpeas, and red pepper. Simmer for another 15 minutes. Season to taste with red pepper, salt, and black pepper. Nutrition facts shown below are per serving. The number of servings for the Northwest Chili recipe is noted in the header section below. The serving size is the first item noted on the nutrition facts table. The veggies, lentils and chickpeas are not included in the calculation for FreeStyle SmartPoints. All other points do not include the vegetables. Chili is one of those items that you can let simmer for longer than the recipe states. The longer it simmers, the more the flavors blend together. So don't be afraid to let this simmer on your stove for a few hours. Here are some tips for making better chili from cooks illustrated. 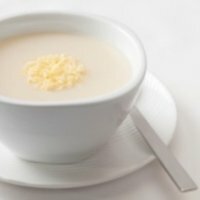 This soup recipe is a creamy blend of cauliflower, carrots, broth, half and half and low fat cheese. 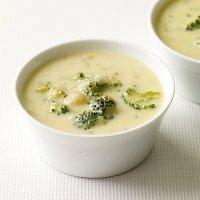 If you love broccoli then this is the soup to try. By using fat free milk and low fat cheese, it has fewer SmartPoints. 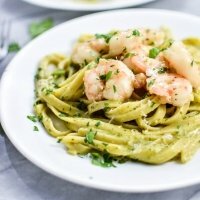 With the creamy pesto sauce and the delightful taste of the shrimp you may want seconds. 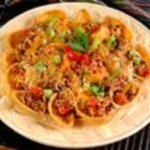 This appetizer idea is made with ground turkey breast which is now a zero point it on the Freestyle plan. 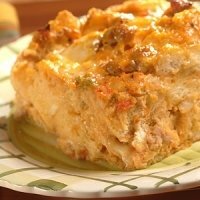 This breakfast casserole is a great fall recipe with the tasty pumpkin puree. Check out these appetizer recipes for your next meal or party. What are the right portions of your foods? Head on over to this page to learn about the proper portion sizes.